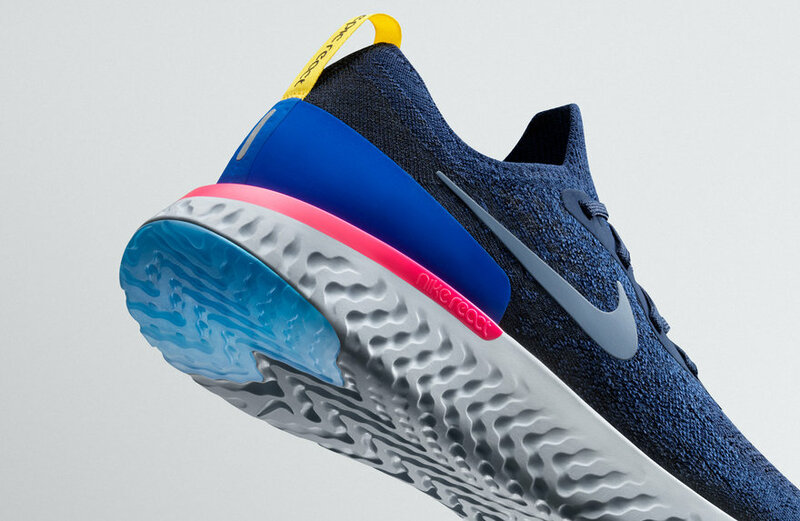 The runner boasts a single-piece Flyknit upper with a more technical midsole in contrast. 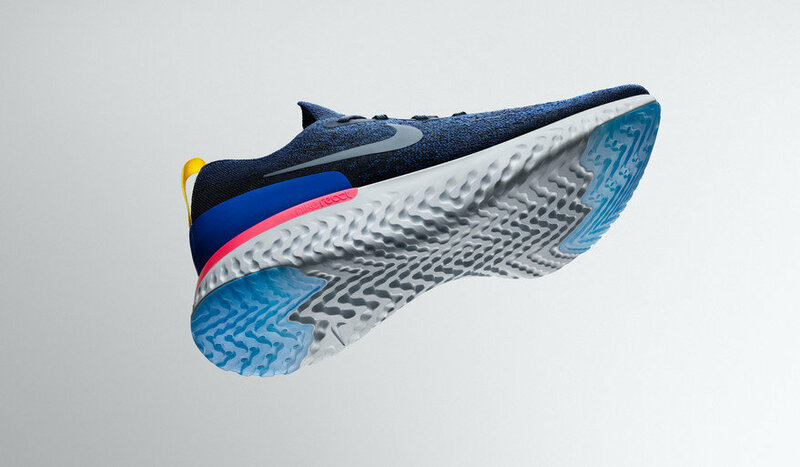 Nike React is much softer than EVA foam, so this runner's midsole needed to be taller and extend past the midsole around the heel to compensate for its extra bounce—that way the shoes won't bottom-out when in use. The outsole features a blue rubber at the heel and toe for extra traction and support for the two parts of your foot that strike the ground the most. 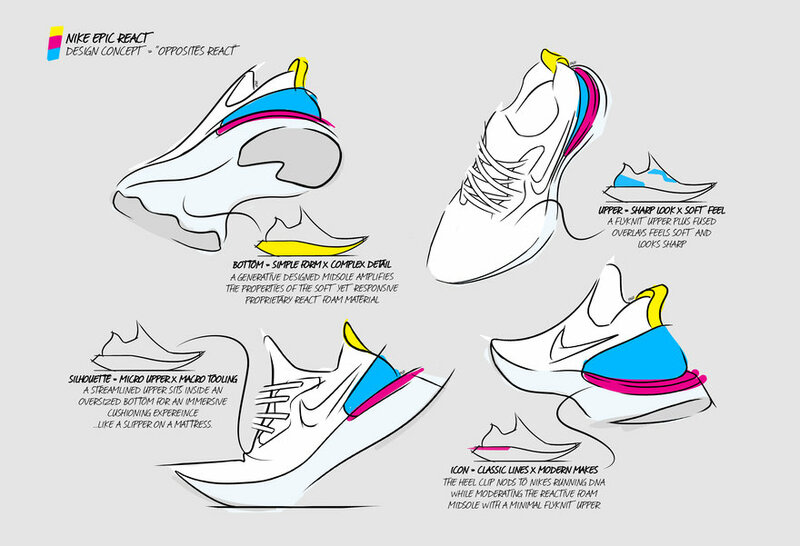 Rapid data-driven ideation was used to design the midsole. 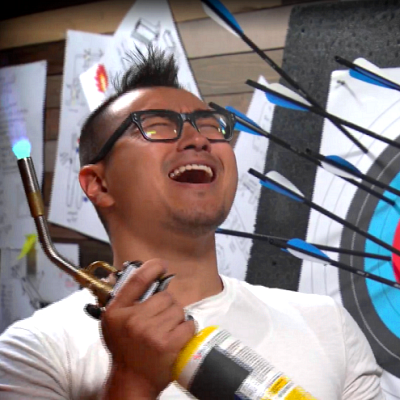 This allowed the part of the shoe to be just one piece with no adhesives necessary. The pattern in the foam varies throughout the shoe depending on which areas need more cushioning and which need to remain firm. 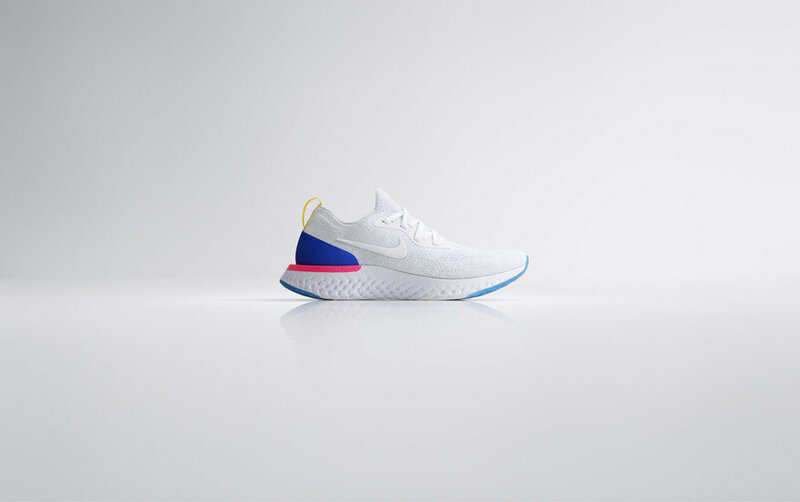 Since the upper sits on just one piece of React foam and that's it, the midsole and outsole are basically merged together as one, except for the thin rubber additions. If that doesn't make you want to snag a pair when they release on February 22nd, I don't know what will. 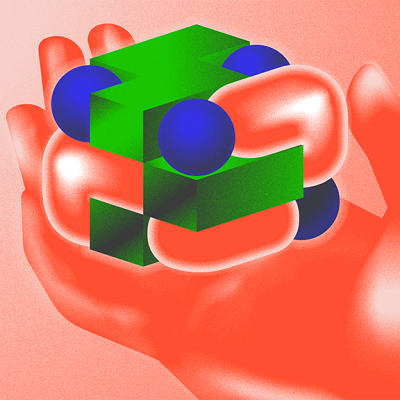 "Rapid data-driven ideation was used to design the midsole. 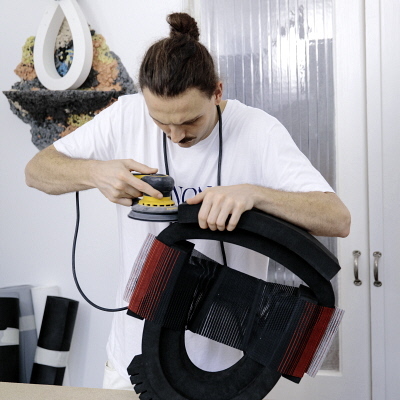 This allowed the part of the shoe to be just one piece with no adhesives necessary." I really enjoy how friendly and simple this design is. Looks like some algorithmic detailing on the outsole/midsole unit. I particularly like the shelf like surface that extends off the heel which I see as a bit of a nod to some of the cut and buff EVA joggers of the 70's. Lots of restraint on the upper.... interesting that they named it React, which of course is a defunct Converse gel based cushioning technology that had a historic moment on the NBA courts in the 90's I think. It is a great name though and with Nike Inc owning both brands it makes sense to bring the nomenclature back.